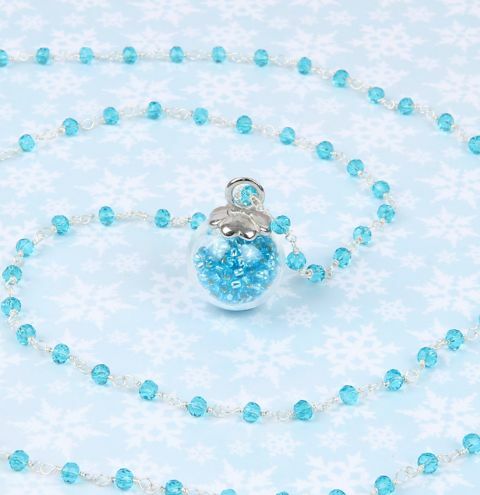 Make a delicate wintery necklace by filling the NEW glass bubble pendant with your favourite seed beads! Cut a length of chain 28 inches long or to your preffered length. Fill your glass bubble with seed beads and carefully glue the cap on top. Allow the glue to dry before putting the chain through the loop. Finish your necklace by attaching a jumpring and clasp to the ends of the chain.